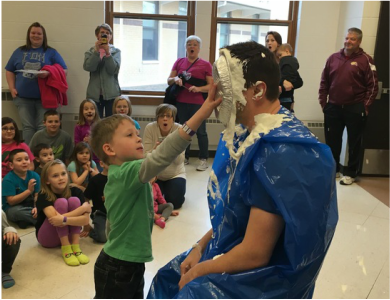 The El Paso-Gridley PTO provides programming, support and enrichment to the EPG community, staff and students. Our two main fundraisers, The Great American Catalog Sale and the Kathryn Beich Candy Bar Sale provide us the funds to give back to our community. Bingo Night, K-3's reward/incentive Spirit Stick program, the Fun Fair, Facebook Contests, Principal Grants, Teacher assistance and more all happen because YOU help us. We thank you for your support. See below for other ways you can contribute to your PTO! We are offer $100 grants to EPG Staff throughout the school year. Anyone is eligible to win. ﻿Stay up to date with our happenings, and become part of the conversation on the El Paso-Gridley PTO page.